In 1930, the Czechoslovak Republic bought three Carden-Lloyd tankettes with a licence to build more, and Ceskomoravská Kolben-Danek immediately produced four derivative prototypes, each with some particularities for trials. These were heavily tested in the process, and many shortcomings were put in light by the commission. The engine felt underpowered and prone to breaking down, visions slits offered poor sight and the original machine gun arc of fire was limited. The first P1 prototype was modified in consequence, offering better vision, arc of fire and a second machine-gun was added for the driver. Ammunition storage and armor were also increased. This prototype was eventually sold to Iran. An official order came in 1933 for 100 units, later lowered to 70, to be delivered before 1935. The three other prototype served as pre-series testbeds. They were ultimately integrated in a regular training unit. The framework was made of steel “angle iron” beams, with armored plates riveted above. The hull itself was well-simplified for mass production, more compact and lighter than the original British model. Both the driver and the gunner had large observation ports, protected with 50 mm (1.97 in) bulletproof glass. There were two ZB vz. 26 machine-guns (a famous model which inspired the British Bren gun), mounted on each extremity of the frontal glacis, one into a ball mount, the other fixed, and fired by the driver through a Bowden cable. Armor was 12 mm (0.47 in) strong on the front, 8 mm (0.31 in) on sides and 6 mm (0.24 in) for top and bottom. They were designed to deflect regular 7.92 mm (0.31 in) bullets at ranges from 20 to 180 m (65-590 ft), and even armor-piercing bullets fired from more than 125 m (410 ft). The engine was 1.95 liters water-cooled, 30 hp (22 kW) inline 4-cylinder Praga installed on the transverse rear compartment. The crewmen almost sat on top of it. It was capable of 35 km/h (21.7 mph) on average to bad roads. The 50 liter fuel tank was installed on the left part of the hull and on the right was located the ammunition storage. Transmission, reduction, differential, driving shafts and brakes were all borrowed from the standard Praga AN truck. There were four forward gears and one reverse. The suspension was a modified model, with pairs of two-wheels bogies fastened to a frame, sprung by classic leaf springs and the track was guided by wooden, metal-lined frames. 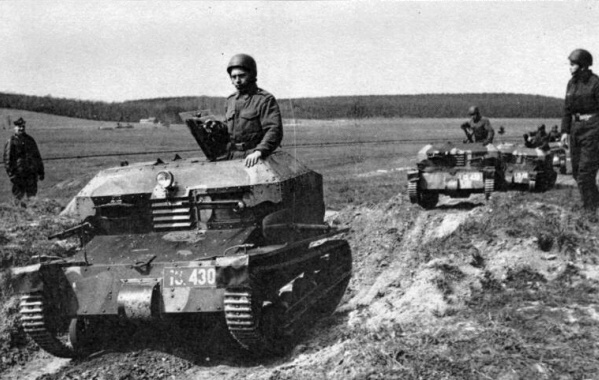 As planned, all tankettes were delivered in October 1934, at an estimated cost of about 131,200 Czechoslovak koruna each, and the first maneuvers which took place quickly led to the cancellation of further orders. It appeared that aiming the machine-gun was nearly impossible at over 10 km/h (6.2 mph) and the complex steering prevented the driver from effectively using the second machine-gun. The suspension also made for a rough ride on bad terrain and reconnaissance was difficult due to the lack of peripheral vision. No room was left for a suitable radio. Before the first tanks arrived, they were deployed in three-units platoon for border police duties. They were put in action against Konrad Henlein, SS-trained Sudetendeutsche Freikorps and groups of the Sudeten German Party (SDP) in the summer of 1938. Later, they also repelled repeated intrusion of Polish and Hungarian border crossers. When Germany forcefully took over all of the Sudetes area, they captured forty tankettes. It seems unlikely that they were used effectively as no records of German units equipped with these was found. However, some would have been probably used for training. By 1939, thirty of these were used by the Armored Battalion “Martin” of the Slovakian forces, then in 1940, as drilling tanks. Some of them were later used by the insurgents, during September 1944 Slovak National Uprising. Their fate is unknown. No Tančík vz.33 of this era has survived. One of the three prototypes of 1933, kept for training recruits. Olive khaki was the standard factory livery between 1933-34. A regular unit of the borderguard platoons in the summer of 1938. Such units fought against Polish and Hungarian infiltration as well as the Freikorps paramilitary units of Konrad Henlein’s SDP pro-Nazi movement. The three-tone camouflage was the new standard adopted in 1935. Germany captured forty tankettes when they invaded the Sudetenland. There is no record of any units being equipped with these tanks. They could have been used by some local training units. Here is a prospective example of one of these, in the standard feldgrau paint. 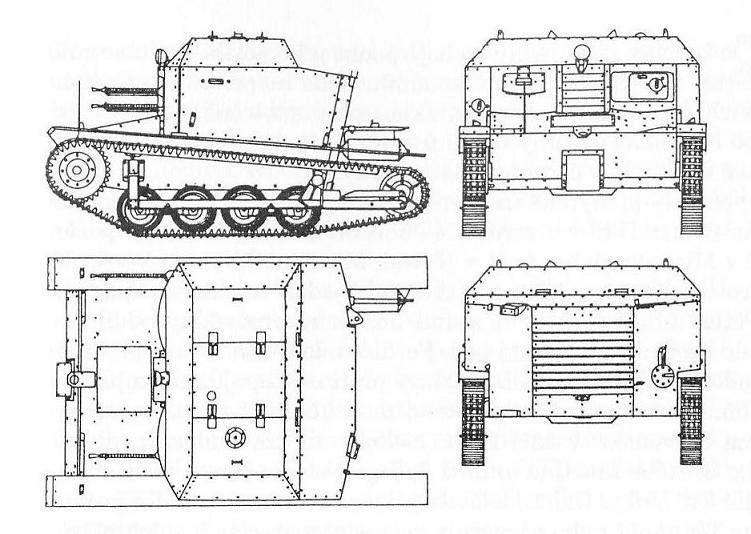 The Slovakian army, allied to the Germans, retained thirty vz.33 tankettes. They were kept for police duties, but records show that, by 1940, most of them were used for training only. However, in September 1944, during the Slovakian insurgency against the Nazis and their local supporters, they had a late opportunity to be used in combat. Here is one of these, fielding the Slovakian cross.